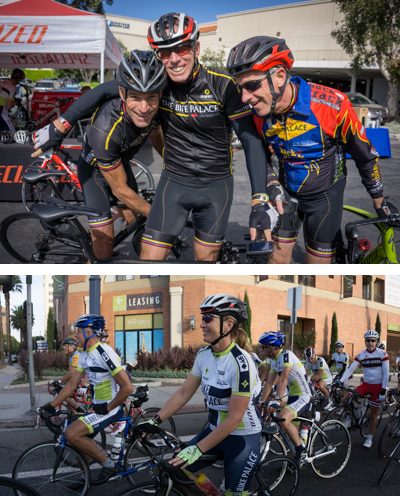 As a member of the Peninsula Cycle Club you will join a network of bicyclists who enjoy riding their bicycles in the South Bay and surrounding areas. New membership dues are $25 for a calendar year. Membership is not complete until we receive both your payment and a completely filled out and signed Membership application. You may print, fill out, scan and e-mail us the application. You can also bring it in person to The Bike Palace or to a club meeting. Your second year’s dues will be prorated based on the time of year you first joined the club. Get at least five other club members together for a ride, publicize it at least 10 days ahead of time on the club’s Facebook page (so that everyone’s invited), and the club will buy the club riders a sandwich and a beer after the ride! Click on the link below and print out an application.